Local author, Chris Weiner, will visit The Broom & Crow to share some spooky stories from his time as a paranormal investigator, answer a few questions, and sign his books, Spirits of the Chippewa and Haunted Chippewa Falls. 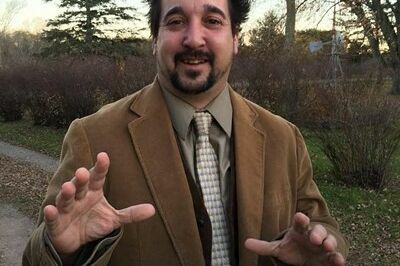 Chris has been a paranormal investigator in the Chippewa Valley and beyond for 13 years. He has made guest appearances on Animal Planet's "The Haunted" and Destination America's "Monsters and Mysteries in America". Chris currently leads the Chippewa Valley Paranormal Investigator's (CVPI) Haunted Chippewa History Tour happening now through the end of October. Both of Chris' books are available to purchase at The Broom & Crow for $10 each.